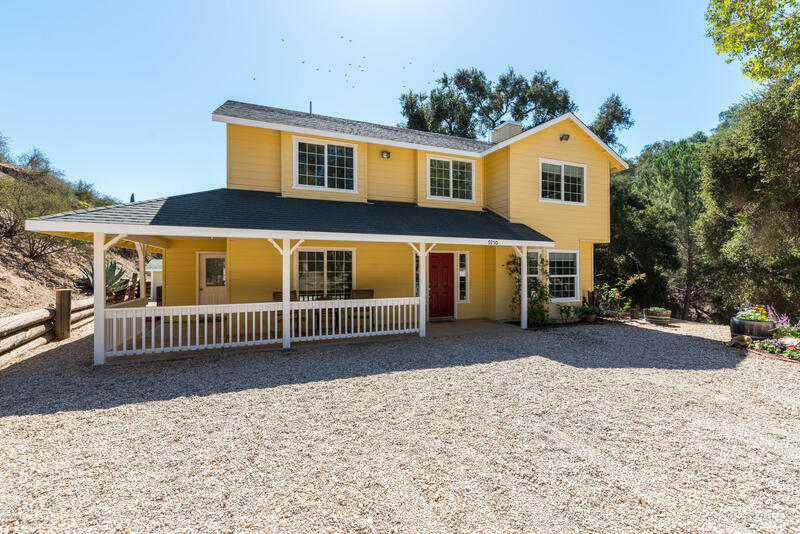 This Private 5 bed/3 bath Ranch Home with Gorgeous Oak studded hills is just minutes from town, located in the famous Suey CreekCanyon. Amazing views from all the windows of this beautiful home! Property also features a Pole Barn, Workshop, Great Well with lots of water and asecond graded pad with utilities and AMAZING Views for a possible second home!!! This home is super clean and ready to move in and make it yours! Asecluded setting with plenty of room for a working farm or a private retreat. The owners thought of everything when designing this home, so it has tons ofcustom features specific to country living including a huge pantry and a separate utility/mud room which has room for an extra fridge/freezer, plus extralaundry hookups and a place for your dirty boots!